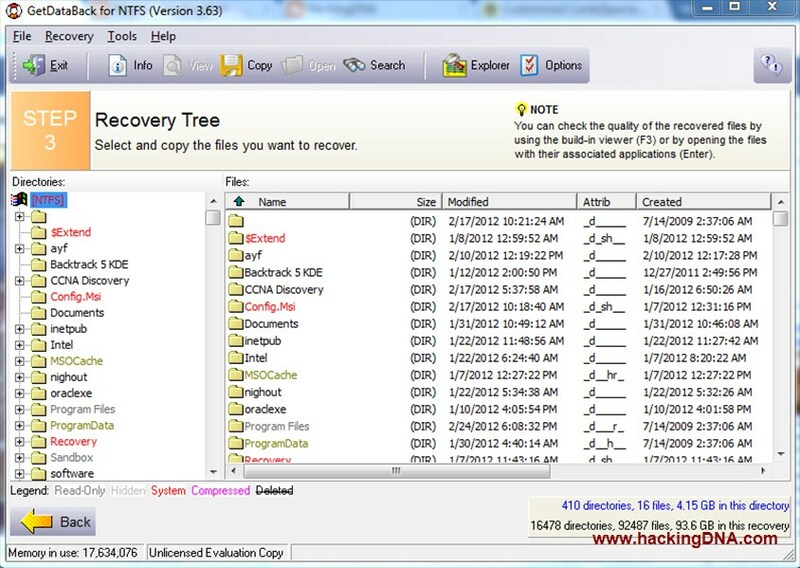 Just because of viruses ,they installed New Operating System . 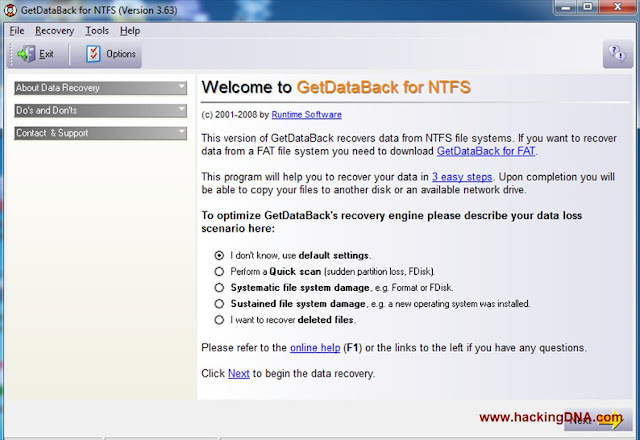 All those important file and vedios you lost from your partiton ,time to get them back . 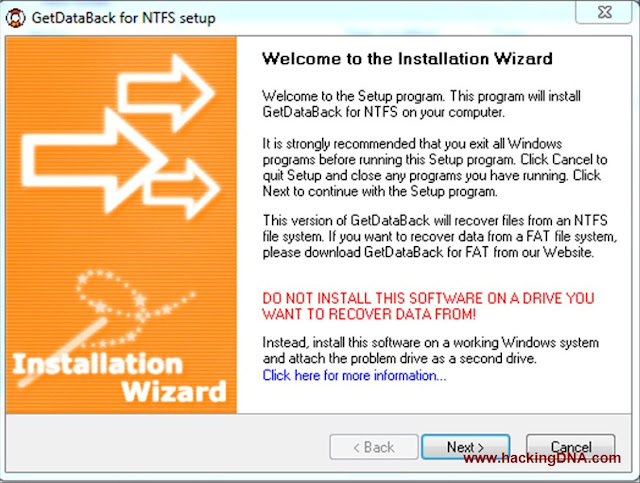 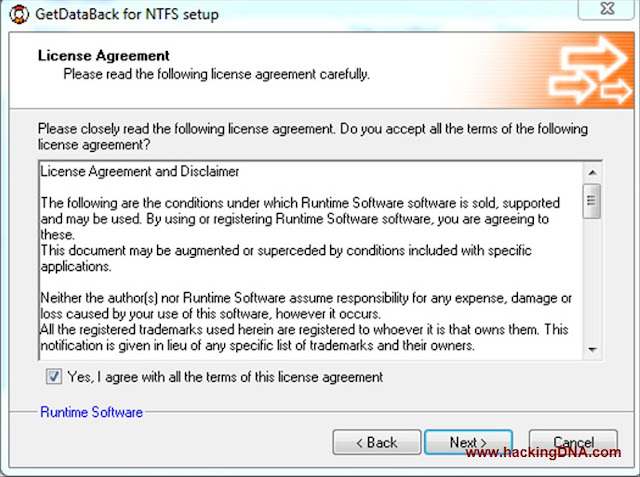 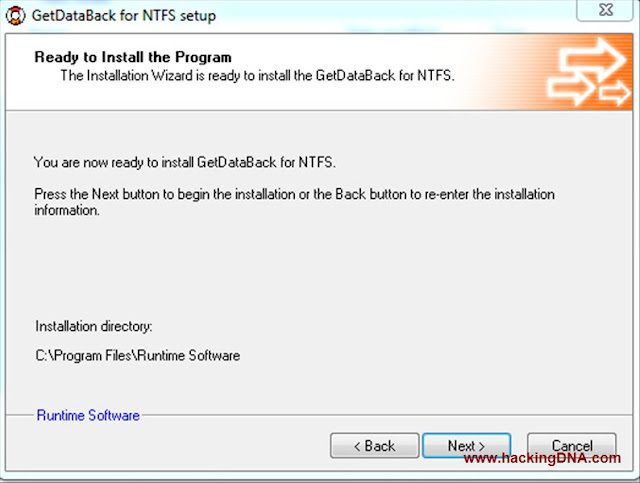 Here i am reviewing a software GetDataBack for NTFS , Using this software you also get back all your valuable data . 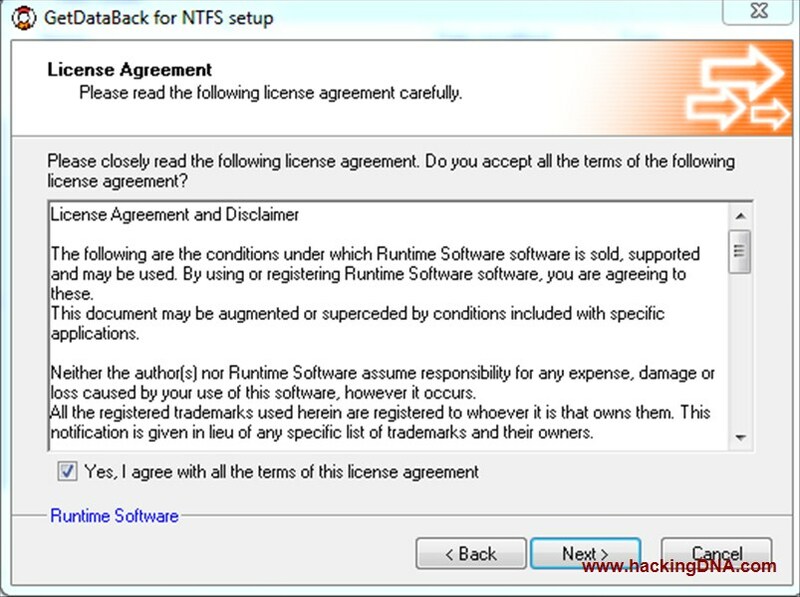 This is the important window comes infront of you when you start your software application . 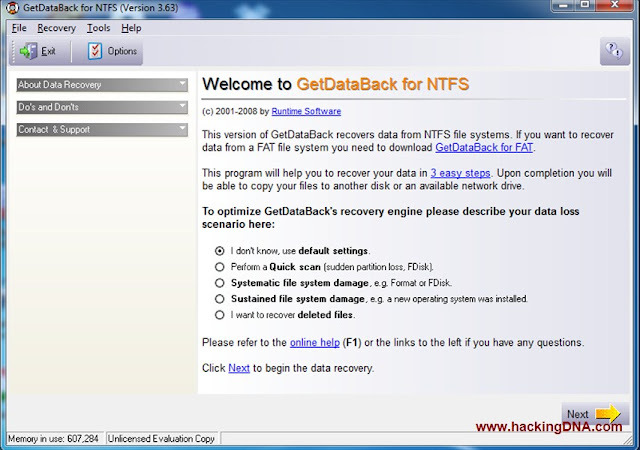 In case someone Format your Drive and you loose all your data then use Systematic file system damage to recover all data. 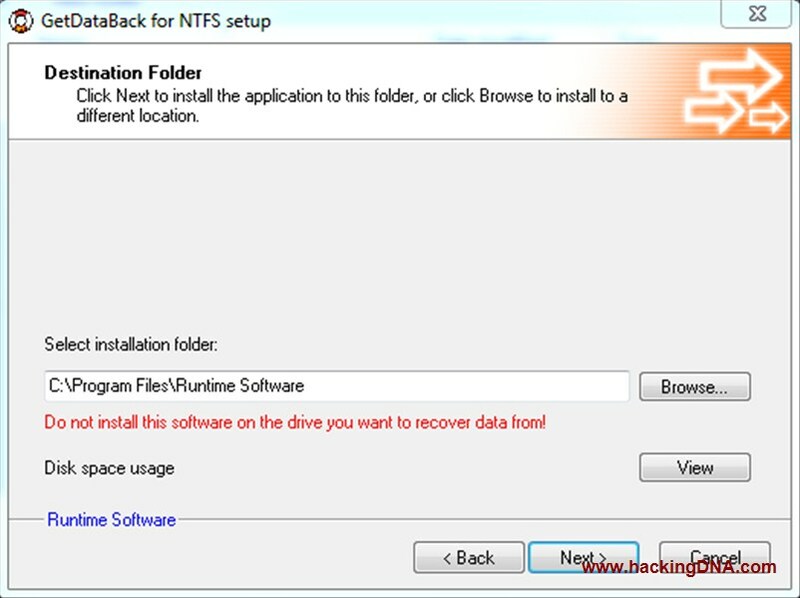 Sometimes most of the people installed new operating system just because some files are missing .To recover in this situation choose Sustained file system damage option. 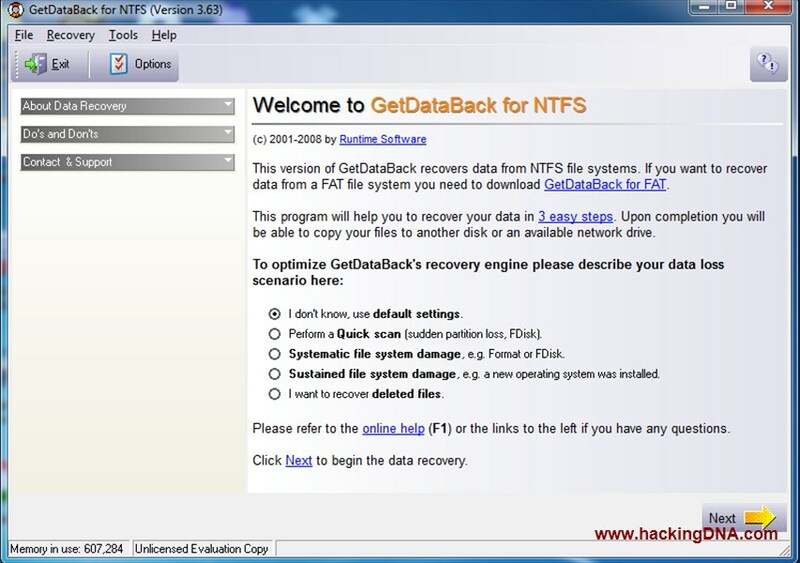 Last option is for those who want to recover only those files which they deleted from harddisk. 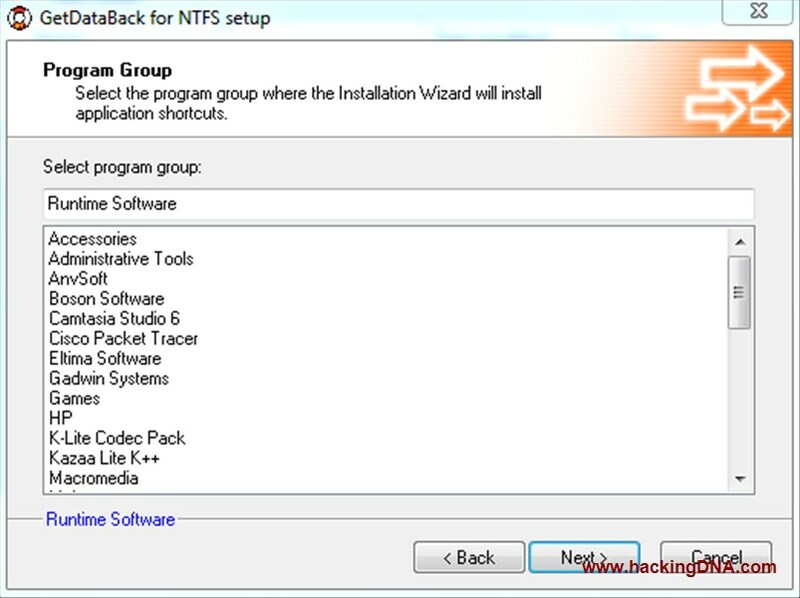 2nd partition(NTFS)97.6GB and click on Next Button. Second step : Select the file system .Your system automatically shows your file system . 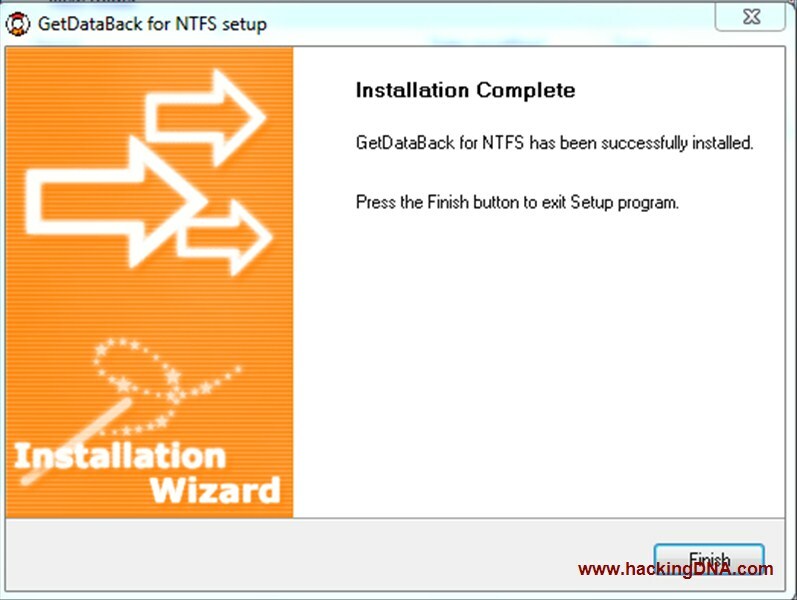 Here I selected the NTFS at sector 206,848 cluster size 8(97.6 GB). and click Next . Here your will get all your data as shown here !!! !